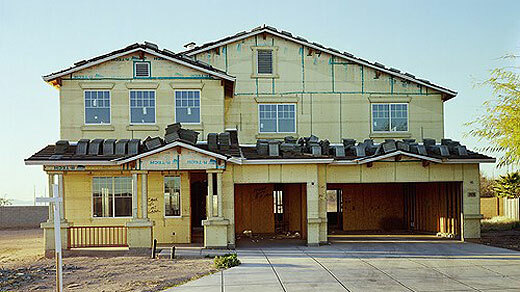 Over the past three years, photographer and filmmaker Eve Morgenstern has been working for the U.S. Federal Reserve to document homes lost during the foreclosure crisis. 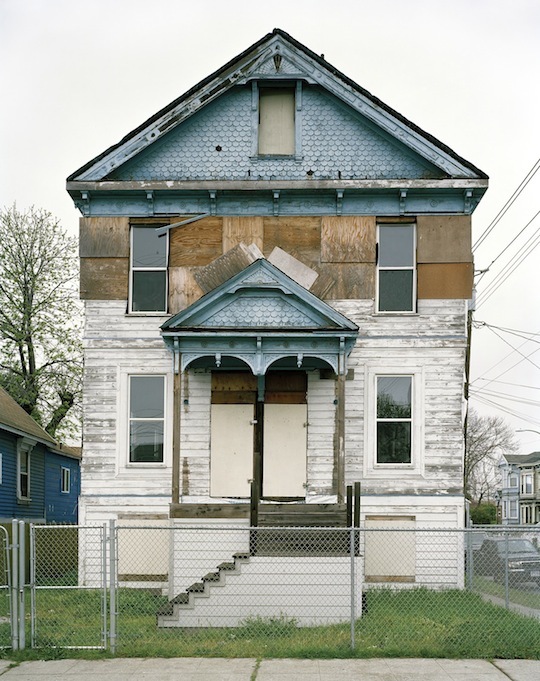 Her pictures from cities like Phoenix, Detroit, Buffalo and Las Vegas offer striking testimony to abandoned dreams. 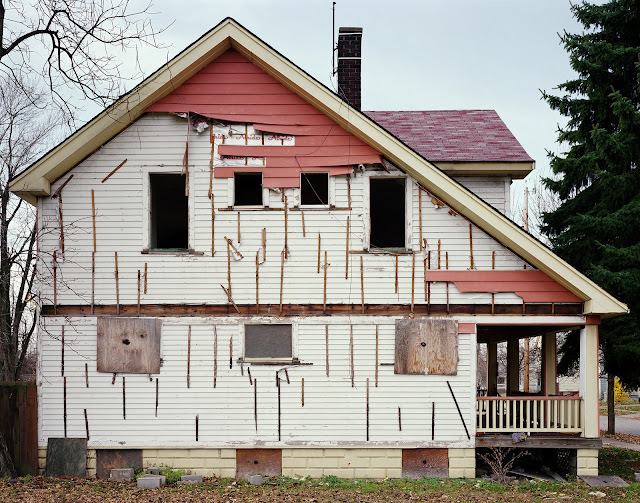 In an interview on the Swedish radio program Kulturnytt, Morgenstern said that visually documenting foreclosed homes provoked her to "rethink what the American Dream really means." What I learned going to all these cities is that as soon as a home becomes foreclosed, the bank puts up plywood, the wood over the windows. And as soon as this happens, it is amazing: It becomes an eyesore in the community, and it completely shifts things. The value of the houses goes down, crime goes up, vandalism. It becomes this domino effect immediately as soon as the front of the home begins to change. Empty houses create a sense of despair that influences the fate of entire neighborhoods, as the dream of home ownership becomes a nightmare. Each facade is surprisingly human in its unique condition, calling to mind its former owners. What became of them? Morgenstern's pictures are currently on display at the Bildmuseet in Umeå, Sweden. what beautiful and haunting pictures. i would like to find out more about the Federal Reserve project. i heard in an interview with Eve Morgenstern that she was videotaping the houses? i wonder what they will do with that footage? Our organization, HANDS, Inc. began rehabbing the worst properties on blocks in Orange, NJ over 25 years ago and has made an impact in turning blocks around. Would love to see the series. Will ‘EuroVegas’ Bring Prosperity to Madrid?